When planning a Government Facility Move — whether temporary duty, permanent change of station (PCS) or military relocation — you want and deserve a stress-free experience for you and your family. At VIP Nationwide, we’re specialists in providing our valued clients with the best-of-the-best in customer service and satisfaction to ensure true peace-of-mind for all. Experience. As a licensed Interstate Authority Carrier, our award-winning team has extensive experience in Government Facility Moves, including our work with the Naval Air Station Joint Reserve Base in Fort Worth. 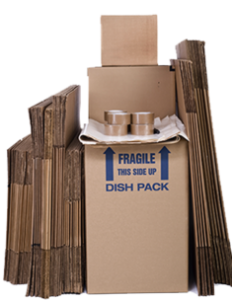 We’re also a preferred mover with access to storage facilities for all your needs. Efficiency and Affordability. Our highly trained movers will efficiently move your belongings to your new location with minimal down time. In addition, we are pleased to offer a 5% discount to military and police. Full service. VIP is a full service, nationwide moving company that will tend to all your moving needs: from packing and pickup to delivery. We value our customers and make sure each assignment is carried out with the utmost commitment to delivering your valuables in a professional and caring manner! Call VIP Nationwide today for a quote on your Government Facility Move. Because everyone deserves the VIP treatment!